We are deeply saddened by the loss of our newest Director, Officer Kevin Tonn of Galt PD, who was killed in the line of duty Tuesday, January 15, 2013. Officer Tonn was very active in our organization and in the community at large. He was a positive influence on the teens in Galt and was always happy to answer questions about his beloved K9 Yaro and to educate anyone about K9 needs. 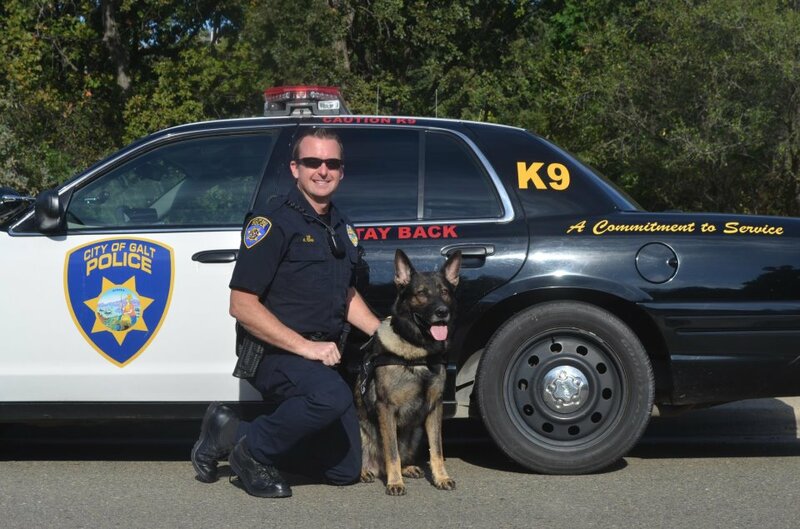 K9 Yaro was retired by the department after the passing of his partner and will live out his life in the loving care of Kevin’s family. Foothills K9 Association will assist with Yaro’s care in any way that may be needed. We will also continue to aid Galt PD K9 Unit as they rebuild and strengthen their program. I am the survivor/friend/co-worker of a “In the Line of Duty” police officer death in 1998. The ache never goes away completely & when I heard what happened on January 15th, the memories came back. I am very happy to hear the Yaro will be living with Officer Kevin Tonn’s family. They will all need each others support. I am making a donation for what your organization does is very important.